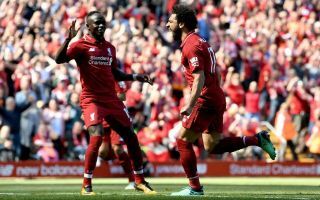 Liverpool manager Jurgen Klopp has been urged by pundit Garth Crooks to have a word with Mohamed Salah about his diving. The BBC Sport pundit was clearly not impressed with the Egypt international against Crystal Palace as he once again seemed to go down rather easily from minimal contact. This has happened a few times recently this season, and Crooks labelled it ‘pathetic’ from the Reds front-man in a stinging attack after the club’s 4-3 win over Palace in the Premier League yesterday. ‘It’s pathetic,’ Crooks said on Final Score, as quoted by the Daily Mirror. ‘People are going to tackle you in the box but don’t try and kid everybody because what you’re doing is just messing with your credibility. ‘He’s messing with his reputation. While Salah has truly been a phenomenal performer for Liverpool since he joined, winning the Golden Boot and PFA Player of the Year last season, fans would probably ideally like to see him cut out this side of his game. No one respects play-acting in football and Salah is a good enough player that he doesn’t need to be trying to con referees to help his team win points.